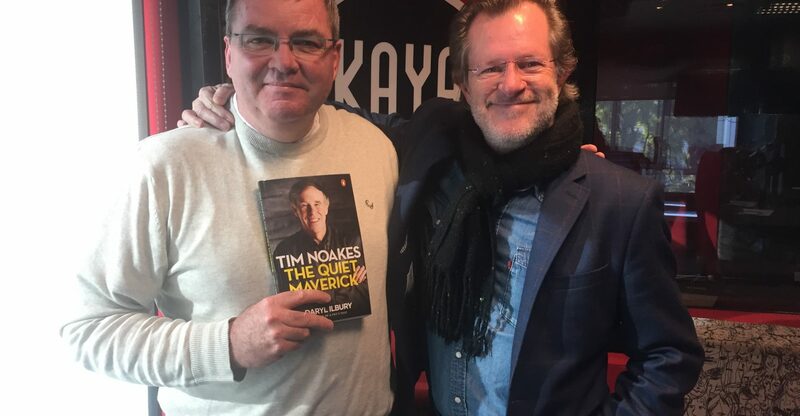 On the morning of Tuesday 20 June, I had the opportunity to chat with David O’Sullivan, breakfast show host on KayaFM, 2017 SA Radio Station of the Year, about my latest book, ‘Tim Noakes: The Quiet Maverick’. David is a former colleague of mine from Talk Radio 702. More importantly for me, he is a highly skilled broadcaster with a remarkable intellect, a devilish wit, and a voracious appetite for reading. The result was a well-informed and highly engaging chat that could have gone on for hours. Unfortunately, the punishing dictates of breakfast radio meant that we had to pack as much as possible into 8 minutes. Luckily, we’re both seasoned pros. In the pic, David is the distinguished gentleman on the left, I’m the one with the hairy face. You can hear the interview here. [Give it a second or two to load on your browser].